American Gods Season 2 has a premiere date! After what seems like an eternity, Starz has confirmed when its hit fantasy drama will return to the air, and there's not much longer to wait. Series star, Ricky Whittle, confirmed the news via Instagram to his 813k followers on Wednesday. 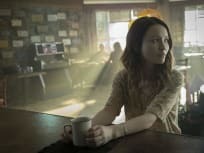 "We were forged in God’s image, but the Gods are also made in ours — and in Season Two the battle moves inexorably toward crisis point as the destinies of gods and men collide, reads the official logline for the second season. Related: American Gods Season 2: First Footage! "While Mr. World plots revenge for the attack against him in Season One, Shadow throws in his lot with Wednesday’s attempt to convince the Old Gods of the case for full-out war, with Laura and Mad Sweeney in tow." "A council at the House on the Rock explodes into chaos, sending deities both Old and New on quests across America that will converge on Cairo, Illinois: forcing Shadow to carve out a place as a believer in this strange new world of living gods — a dark world where change demands commitment, and faith requires terrible sacrifice." 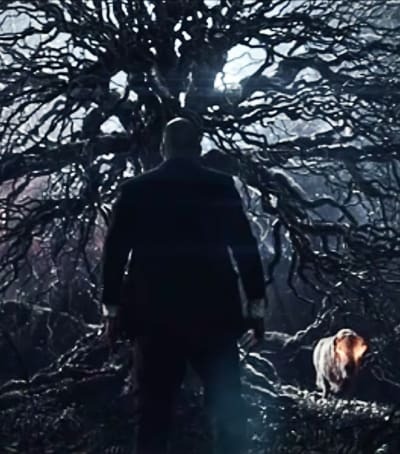 American Gods Season 1 concluded with Shadow Moon learning that Mr. Wednesday (Ian McShane) was Odin, the mystical god of war from Norse mythology, setting the stage for what is sure to be a killer sophomore run. Many thought American Gods would never return to the air, especially when you consider the fact that there was more drama behind the scenes than on the show. First, Bryan Fuller and Michael Green departed amid creative differences with the network. More recently, Jesse Alexander was ousted from the series following delays and reports that multiple drafts of a script had been rejected by Starz. Oh, and we can't forget that Gillian Anderson and Kristin Chenoweth have both decided against returning to the series. What are your thoughts, American Gods Fanatics? Hit the comments below, and be sure to watch the first look trailer below.